The official description of the flavors is also ambiguous, with most descriptions including the phrase ‘special mixture’. We’ll have to wait for some hands on experience before getting a clearer idea of what these flavors actually taste like. 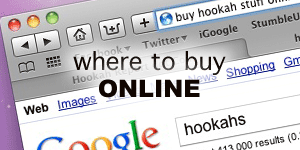 The phrase ‘Made in USA’ caused no little controversy back in March of 2010, when Social Smoke Tobacco released their own USA brand, but was met with skepticism from at least one competing vendor, making the claim that the tobacco was, in fact, imported from the Middle East, where most hookah tobacco is produced.